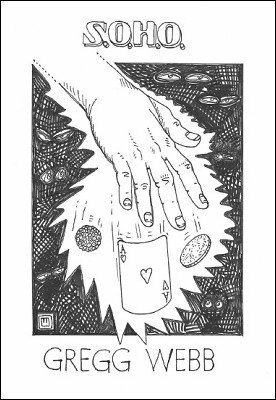 This ebook includes innovative sleight of hand routines for the modern magician. A familiarity with basic sleights is required. This is book one of a trilogy. The other two titles are The Shade and The Lizard Wizard's Diary . Gregg is a professional artist and teaches very high-level courses on drawing and animation, always coaxing the best from his students and instilling an appreciation of nuance and - this is important - helping them unleash their own individual styles. As you read this collection of tricks, you'll see the same level of encouragement as he guides you through his thinking processes and toward his challenges to become a better magician. Gregg expects nothing less for himself. He's always working on a better angle, or a better method when he develops a new effect. I'm always happy to be on the receiving end when he calls me to describe a new subtlety or trick... most of the time, I say to myself "wow - why didn't I think of that?"